On July 19th the Federal Railroad Administration (FRA) announced a Finding of No Significant Impact for the Northern New England Intercity Rail Initiative (NNEIRI Study). The finding clears the way for states and the federal government to invest in future passenger rail service in New England. 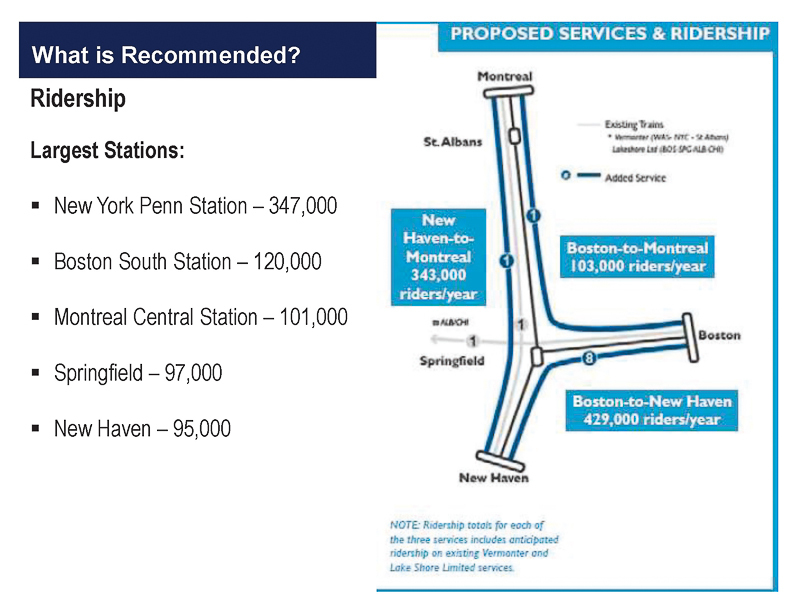 The NNEIRI Study proposes to restore service between Boston and New Haven through Springfield and Hartford and add new service between Boston and Montreal.